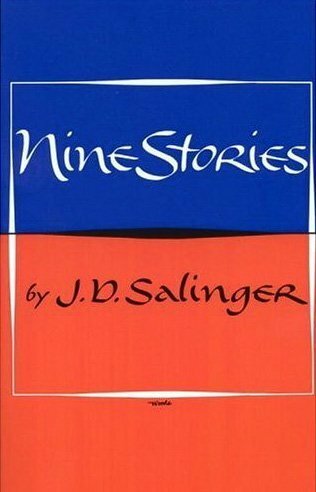 At the risk of alienating a few die-hard Salinger fans, I'm skipping the 2nd and 3rd stories in Salinger's Nine Stories to proselytize "The Laughing Man," because like all the arts that tickle my fickle fancy, this story is melancholic at the same time as it is an adventure, it has longing while being very funny, and in grand Salinger fashion it is as observant of the human condition as most any small child, as articulate about it as most any literary giant. And what else is fiction for but to capture the otherwise elusive nature of what it means to be human, and have a heck of a good time doing it? At first glance "The Laughing Man" may seem like a "normal" Salinger story as it centres, in part, around a young person, in this case a nine-year old boy from New York who is part of an extra-curricular "organization" known as the Comanche Club. Everyday after school, this boy, our narrator, and a group of other boys would be picked up by school bus and taken, most often, to Central Park. There, "weather permitting, we played football or soccer or baseball, depending (very loosely) on the season." The driver of the bus and organizer of all the sporting events or other outings was known to the Comanches as the Chief. He was also one John Gedsudski, a law student at N.Y.U. But the man who was a great athlete and is a law student, is both myth and legend to the boys when he is the Chief. And the story that the narrator is looking back on manages to mix a perfect blend of genuine fascination and childlike awe with a kind of gentle humor at how seriously things like a Comanche club (we, the modern reader rightly shudder at the name) were back then. To the boys, the Chief was, "an impartial and unexcitable umpire at all our bedlam sporting events, a master fire builder and extinguisher, and an expert, uncontemptous first-aid man. Every one of us, from the smallest hoodlum to the biggest, loved and respected him." It goes further than that, though, when we learn in a parenthetical aside, a Holden Caufield-like digression that, as in all Salinger's stories, can be the spot to drop a bright bit of humor or, in the case of "The Laughing Man," a touch of something even more spirit nourishing. If this were just about a bunch of boys and their fearless leader (and his inevitable imperfections) it would be a good story that no one would remember some 60+ years later. What so elevates "The Laughing Man" to the lofty heights of the resonant, is that it, quite literally, works on two levels. Perhaps the narrative's greatest pleasure of all is its story-within-a-story. The Chief, it turns out, is a great storyteller. The Comanches are suitably floored by this to the nine-year old degree of taking story time as necessity. On the Comanche bus after a game or, when waiting, for example, for the Chief's new girlfriend, they (and we the reader) hear the Chief tell the story-within-the-story, the story of the Laughing Man, a kind of fantastical, adventure story quite unlike anything else Salinger ever wrote. In other words, in the frame of a literary and very New Yorker-like short story we get something out of a comic book, something that literally takes the reader back to when they were a nine-year old. The magic of "The Laughing Man" (and here I'll momentarily disregard what Picasso said; cause this story really does put a spell on you) is that both the story within and the story without are equally captivating in their own right. This, in my reading experience, is rather rare, as so often the story within should be the story throughout, or otherwise not exist in the first place. The origin story of the Laughing Man is that as a child he was kidnapped and disfigured by Chinese bandits. His face is grotesque to say the least: "... A face that featured, instead of a mouth, an enormous oral cavity below the nose. The nose itself consisted of two flesh-sealed nostrils. In consequence, when the Laughing Man breathed, the hideous, mirthless gap below his nose dilated and contracted like ... some sort of monstrous vacuole." In turn, the bandits force The Laughing Man to wear a mask made out of poppy petals. As ever Salinger peppers these details with little winks to the reader. The bandits chose a poppy mask so they could smell the Laughing Man and know where he was. He wreaked of opium. In Marvel-like compensation for his disfigurement, the Laughing Man has special abilities, and within a story that is a wistful but also a very funny return to childhood and, as it turns out, a kind of young love, we get an adventure story, but an adventure story Ala J.D. Salinger. Every morning, in his extreme loneliness, the Laughing Man stole off (he was as graceful on his feet as a cat) to the dense forest surrounding the bandit's hideout. There he befriended any number and species of animals: dogs, white mice, eagles, lions, boa constrictors, wolves. Moreover, he removed his mask and spoke to them, softly, melodiously, in their own tongues. They did not think him ugly.